Not only is water a precious global resource, it is also the superhero of beverages – no question. Why? Because of the crazy amount of health benefits that come along with the clear, no-calorie liquid, making it essential to your health both on and off the job. And water can be taken in not just by drinking it – but from absorption through the food you eat as well. Balance Out Your Body Fluids – At 60% water, your body uses these bodily fluids to help with digestion, absorption, circulation, saliva creation, nutrient transportation, and body temperature maintenance. Control Those Calories – For years, dieters have been drinking lots of water as a weight loss strategy. While water doesn't have any magical effect on weight loss, substituting it for higher calorie beverages can certainly help. Energize Your Muscles – Muscle fatigue occurs in cells that don't maintain their balance of fluids and electrolytes, which is why it is important to drink fluids when exercising. The American College of Sports Medicine guidelines recommend that people drink about 17 ounces of fluid about two hours before exercise and at regular intervals during the activity. Help Keep Your Skin Looking Good – Since skin contains plenty of water and functions as a protective barrier to prevent excess fluid loss, proper hydration helps to keep skin moisturized and healthy. But don't expect over-hydration to erase wrinkles or fine lines. Keep Your Kidneys Happy – Adequate water intake allows your kidneys to do an amazing job of cleansing and ridding your body of waste products and toxins. Maintain Normal Bowel Function – Proper fluid intake keeps things flowing along your gastrointestinal tract and prevents constipation. Need help to start drinking more water? Have a beverage with every snack and meal. Beverages such as milk and juice are composed mostly of water. Even beer, wine, and caffeinated beverages — such as coffee, tea, or soda — can contribute, but these should not be a major portion of your daily total fluid intake. 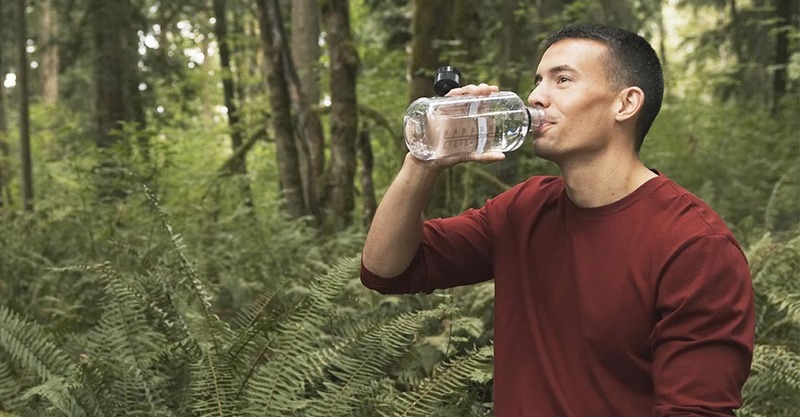 Water is still your best bet because it's calorie-free, inexpensive, and readily available. Choose beverages that meet your individual needs; you're likely to drink more liquids if you like the way they taste, and if you're watching calories, go for non-caloric beverages or water. Eat more fruits and vegetables. Their high water content will add to your hydration. About 20% of our fluid intake comes from foods. For example, many fruits and vegetables, such as watermelon and spinach, are 90 percent or more water by weight. Stay smart this summer by staying hydrated. Make learning to save others a part of your total commitment to a truly healthy lifestyle. We can help!